Holiness people have stood adamantly against tobacco but the reasons were considerably different from current political correctness. Surprise: the argument goes far beyond the “my body is a temple” truism. 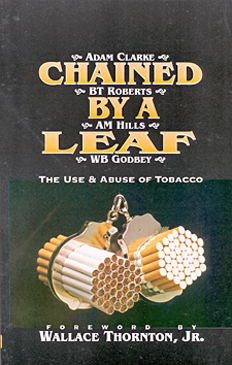 Presents the classic Wesleyan case against tobacco by B.T. Roberts, Adam Clarke, A.M. Hills and W.B. Godbey. Foreword by Wallace Thornton, Jr.